Out today on Citrus City is a perplexing record, one seemingly built on modular cryptics that join together to build intriguing songs from divergent sources. From the mind of complex songwriter Danet Jackson comes Planet Danet, and the name sticks as from the very start, listeners are dropped into a foreign yet analogous musical world that has our musical compasses spinning wildly to find true north even if a quick eye (or ear) test relays that everything seems on the up and up. 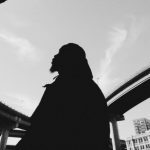 With titles like “The Best Dead Mother” and “The Killing Stadium,” there may seem to be a macabre slant to the songwriting, but where macabre might rely on exploring understood dark tones, Danet Jackson excels in the unknown, sounds and melodies and phrases that work well together for no other reason than they just do. Things don’t feel ominous here or menacing – just baffling in their recognizable tones and irregular resonance. It all begins with a jazzy, experimental swing entitled “Love99.” It’s a song that, on paper at least, seems passable, but is vibrant and alluring in its execution as the bass struts on the dancefloor between errant math melodies that brighten the mood. 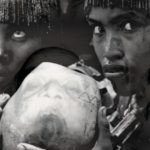 From there, the sound shifts to furtive rock ruminations on “The Best Dead Mother,” a song built on clever hooks, unique lyrical phrases, and driving urgency that instantly becomes the record’s high mark in terms of sound and ambition. It’s a tonal shift from “Love99,” exploring a more intrinsic indie side of things you’d get from a conflicted songwriter, but nothing about this record feels disconnected yet. Through the first two songs and the rest of the record, it’s Jackson’s voice that ties this all together. Guileless and tempered, it strikes the mean of the vocal range with impeccable poise, coming across like a veteran lounge singer translating groovy rock music through a smoky fog. As he strolls through inflected couplets and brassy lifts, you can just feel how much of the record is balanced on his voice. That’s not to say his voice is the most compelling part of the record, but without it, these songs would lose their guarded allure, instead spotlighting the loose, fragmented thread that ties them together. “Lounge meets rock” seems fully cemented on the mid-point of the EP, “Flower Power,” a song that on surface seems like one Frank Sinatra or Bobby Darin would write to stay relevant as pop music took the world by storm in ’60s. Subtle Beatle ambience settles in over a floaty guitar line that’s garage in structure, but the tone never quite reaches that mark, coming across muffled as if to continue the enigmatic nature of the song. And that’s where Jackson would differ from his predecessors in a song like this — where they would rip the song bare to exploit its full potential, Jackson tucks it back, hiding it for future examination that’s necessitated by the song’s beguiling nature. And it’s that future examination that’s really needed to piece together the brilliance at work here, whether you want to discover why the shifty squalls of “Have Your Own” touch so poignantly, or what exactly the end jam of “The Killing Stadium” is summarizing. But perhaps the answers are best left uncovered. 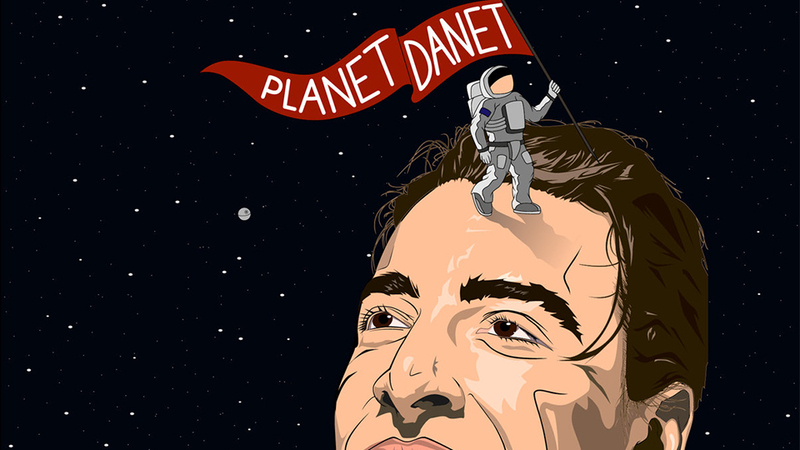 Through draping tones and furtive melodies, Planet Danet offers up instantly-pleasing songs that may baffle in their structure, but certainly resonate when judging their appeal and worth. Maybe it’s best to leave “why” out of the conversation and just focus on what makes Planet Danet similar to your own taste, than foreign and extraterrestrial.